Covering a total area of 7.69 million square kilometres, mainland Australia is the world’s largest island – but smallest continent. In distance, the continent stretches about 3700 kilometres from north to south and 4000 kilometres from east to west, making it the sixth-largest nation after Russia, Canada, China, the United States and Brazil. Australia is also the only continent that is governed as a single country. It is sometimes informally referred to as an ‘island’ continent, surrounded by oceans. Australia enjoys outstanding Asia-Pacific location – the fastest growing region in the world. This means it has similar time zone to Asia and its various export enjoys direct shipping access to Asia. 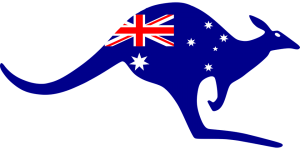 Australians come from a rich variety of cultural, ethnic, linguistic and religious backgrounds. While Aboriginal and Torres Strait Islander peoples are the original inhabitants of the land, immigrants from about 200 countries also call Australia home. Until the 1970s, the majority of immigrants to Australia came from Europe. These days Australia receives many more immigrants from Asia, and since 1996 the number of immigrants from Africa and the Middle East has almost doubled. Australia’s immigration policy welcomes people from all over the world and does not discriminate on racial, cultural or religious grounds. Australians embrace the spectrum of religious beliefs and Buddhist, Christian, Hindu, Jewish, Muslim, Sikh and other places of worship are found in almost every major city. Australia is modern, contemporary and multicultural and this is reflected in its buildings, fashion, recreation and foods.English is the national language but more than 300 languages are spoken in Australian homes. The most common are Mandarin, Italian, Arabic, Cantonese and Greek. Australia is rated ‘triple A’ by all three global rating agencies and enjoys levels of net public debt that are among the lowest in the OECD. Its economy is considered one of the strongest, most stable and diverse in the world. In 2015, Australia entered its 25rd year of uninterrupted annual economic growth, averaging 3.3 per cent a year. According to The Economist Intelligence Unit’s (EIU) global liveability report, Melbourne, Adelaide, Sydney and Perth have consistently been in the top 15 world cities ranking judging by widespread availability of goods and services, low personal risk, and an effective infrastructure. No other country has as many rankings in the top 10 most liveable cities and Melbourne is ranked No. 1 for sixth consecutive year in 2016.